If you are swamped with debt and needing some relief, then call one of our Huntsville bankruptcy lawyers for a consultation in person or over the phone. 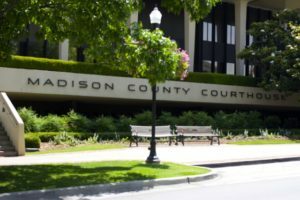 Our Huntsville bankruptcy attorneys are currently charging $850 for most Chapter 7 bankruptcy filings in Madison County and the surrounding areas. There is also a filing fee of $335.00 that the Bankruptcy Court charges when the case is filed. Additionally, there is a small fee for pulling your credit report (usually around $30), and there are two courses (a debt management and a credit counseling course) that you must complete. The combined cost for both courses are around $45 and each one usually takes about an hour to do online. To file a Chapter 7 bankruptcy the combined costs (including attorney fees, filing fees, and all additional fees) will usually be about $1260 with our Huntsville bankruptcy lawyer. If there are no assets in your case, then a Chapter 7 bankruptcy can be a fairly simple process. The main considerations in a Chapter 7 are qualifying to file and making sure that all of your assets are protected. Qualifying to file is based on your household income and family size. Call our local Huntsville bankruptcy lawyer today for more information. When you call our Huntsville bankruptcy lawyer we can discuss your financial situation and determine if filing bankruptcy is right for you. Our bankruptcy attorney can provide a consultation with you over the phone or in our Huntsville office on Memorial Parkway. If you are considering a bankruptcy in Madison County, Alabama then give us a call today. The United States Bankruptcy Courts are there to provide debt relief for individuals that have overwhelming debts they cannot get out from under. Chapter 7 bankruptcy allows you to completely eliminate your unsecured debts such as credit cards, and medical bills in a very quick amount of time, usually about three months from the filing date. These debts are called unsecured debts since there is no property securing them. Although most unsecured debts can be discharged in a Chapter 7 bankruptcy, certain types are not dischargeable such as student loans and some tax debts. Our Huntsville bankruptcy attorney can help determine whether you qualify for Chapter 7. Sometimes a Chapter 7 bankruptcy may not be the best choice and a Chapter 13 might be preferable for your particular situation. Chapter 13 bankruptcy is a payment plan, where you pay back some or all of your debts over a three to five year period. If our Huntsville bankruptcy lawyers are filing your case in Madison County or the surrounding areas of Decatur, Florence, Scottsboro, Madison, or Cullman, then it will be filed in the U.S. District Court for the Northern District of Alabama, Northern Division. Which Bankruptcy Court your case is filed in generally depends on the county in which you reside. Therefore, if you live in Madison, Morgan, or Cullman County then your case will be in the Northern Division. Our Huntsville bankruptcy attorneys will ensure you file in the correct jurisdiction, since filing incorrectly can cause your bankruptcy to be dismissed. When our Huntsville bankruptcy lawyer files your case, you will have to go to something called a Meeting of the Creditors about a month later. If you file for bankruptcy in the Northern Division, your Meeting of the Creditors will be held in either the U.S. Courthouse in Decatur or one of the satellite courthouses in Florence or Huntsville. This meeting is meant as an opportunity for the Trustee in your case and any creditors to ask you questions under oath. However, most of the time no creditors actually show up and the Trustee will just ask you a few simple questions. After the Meeting of the Creditors, you should have no additional hearings in a no asset Chapter 7 case. You do have to complete a financial management course while your case is pending, but this can usually be done online. Additionally, you might have to sign some documents to be filed with the Court during your Chapter 7 case such as a reaffirmation agreement, but these will not typically require you to go to Court and can sometimes be approved without a hearing. Attorney Steven Harris is a proud member of the Huntsville Chamber of Commerce and the Better Business Bureau for North Alabama. The Harris Firm regularly files bankruptcy cases in the Northern Alabama area and we are familiar with the requirements in this jurisdiction. Our local bankruptcy lawyer can answer your questions about the process either in person or over the phone. If you would like to speak with our Huntsville bankruptcy attorney, then give us a call today.